Fighter jets, heavy-lift transport helicopters, tanks and an unrivaled collection of military aircraft and vehicles will scrape the skies and shake the ground from Sept. 7-8 during Marine Week at The Dirt Track at Charlotte. Firepower from the U.S. Marine Corps will provide attendees with an in-depth look at how the Marine Corps patrols the air, skies and ground through interactive displays, live demonstrations and a slew of spectacular machinery designed to showcase the Marine Corps' history and community involvement. 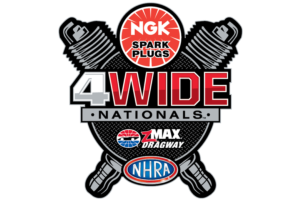 The event comes to Charlotte Motor Speedway in conjunction with the Sept. 6-9 Pennzoil AutoFair presented by Advance Auto Parts - the world's largest automotive extravaganza. To tie together the two showcase events, an HMMWV (High Mobility Multipurpose Wheeled Vehicle) will be displayed at AutoFair. Admission and parking is FREE to Marine Week at The Dirt Track at Charlotte. Spectator gates will open at 2:30 p.m. on Friday, Sept. 7, and Saturday, Sept. 8, with pre-show action starting at 3 p.m. and the full military demonstrations beginning at 4 p.m. Hours for the Pennzoil AutoFair presented by Advance Auto Parts are 8 a.m. to 6 p.m., Thursday through Saturday and 8 a.m. to 4 p.m. Sunday.